Available for UK next day delivery with FREE Chocs. 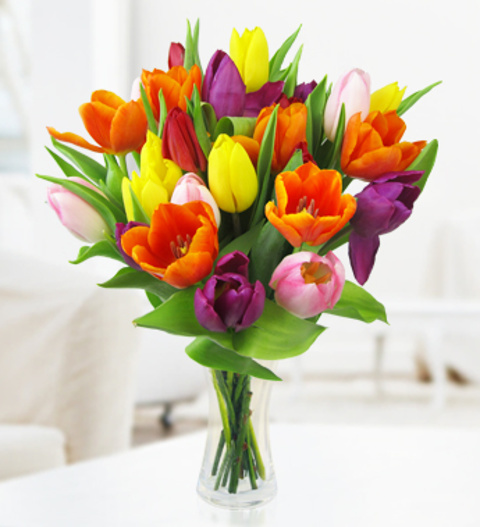 Perfect for any occasion, our beautiful bouquet of fresh Dutch Tulips will brighten the day for any recipient. With mixed colours, this bouquet is beautifully hand tied by our expert florists. Our tulip bouquet is made up of the freshest tulips and the colours can vary for each unique bouquet. This stunning arrangements is available for UK next day delivery. Chocolates may contain nuts.